These glass "Stackers" or Spacers let the light in on your Cheese display! 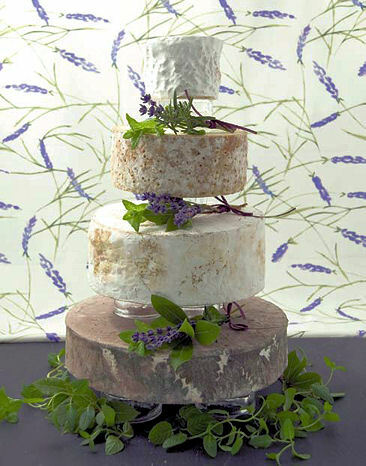 Add extra elegance, and more options for decorating your Cheese cake. Used directly under firm cheeses, and on a suitably sized Cakeboard for soft cheeses. More about Cheese Cake Separators ..